There have been lots of changes to code, elements and experience over the last few days. 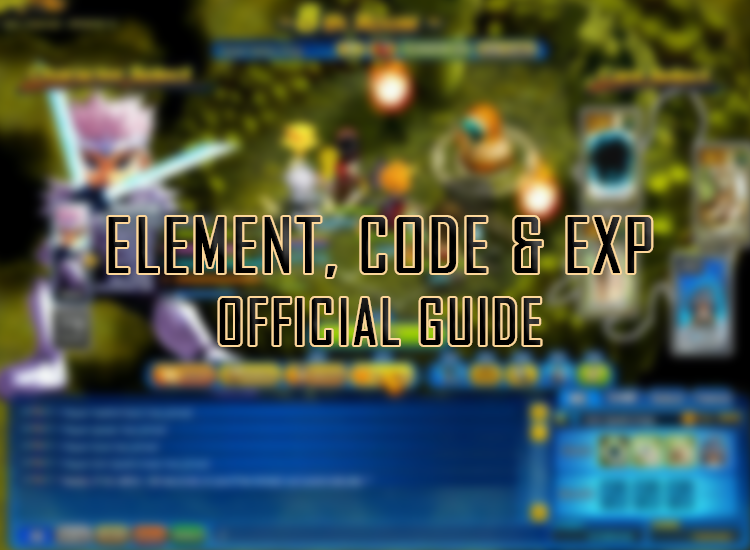 I wanted to make a guide for new players and old to present the new information and where the sweet spots for code are. Please note, there has been a reduction in rates as of April 13, 2018. Element has been hit harder than Code/EXP. To compensate, costs for leveling up items has reduced. To begin this guide, I will be breaking down game-modes into two types. Rewards players at the end-game screen via Kill Count. Rewards players at the end-game screen via Kill Count & Team Participation (if applicable). Base rewards are apart of this type of game-mode, thus losing will still net a decent gain of resources. These game-modes scale extremely well with player count. Per kill is counted, but doesn't affect completion screen rewards as much as Per-Kill reward gamemodes. These game-modes will require the player to obtain kills in order to reap rewards. These game-modes will scale well for EXP & Code, but elements will be dictated by the amount of kills and chests (if applicable) gained within the round. Quest Share is also available to share EXP and Code between players doing the quest. Please note, if this is abused, your account will be suspended for 14 days or permanently. These game-modes are still being worked on. Rates also scale with how many players are in a room. This is the rate scaling specifics. Element rates are not affected. This works with ALL room types. Rate modifiers, like Hot Time and Super Silvers affect the rate differently. Let's break it down. Changes to server rates through Prime Rate or Hot Time effectively change the final experience calculation. What this means is, all your experience and elements are calculated by a handful of functions. The final result is then multiplied against the rate for that specific resource (Element Rate, Code or EXP). Super Silvers are items that can be obtained by players through the cash shop, events or giveaways. Super Silvers affect the rate by adding to the "multiplier" (can be found via @myrate or @rates, a lobby command). Super silver information can be found on the custom features page. If you have further questions, please post them here for us to update and add to.